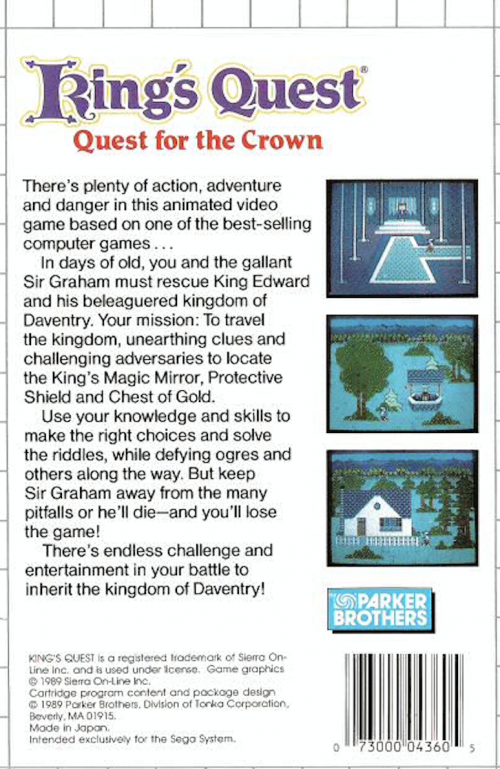 While it was probably an easy decision to make – take Sierra’s insanely popular King’s Quest game and port it to your console to make $$$$ – it couldn’t have been easy to execute. Microsmiths and Parker Brothers were up to the task, and the end product is surprisingly better than I expected it to be. The glaring difference between this port and the other Sierra offerings of that era is the lack of text input. This was a cornerstone of early Sierra games; you had the ability to type in whatever you thought you needed to in order to proceed or solve a puzzle, and the games recognized an impressive range of words. Home consoles didn’t support any text entry, of course, so Microsmiths had their work cut out for them. The solution was to Lucasarts it up a bit, giving contextual terms that players could use to make short phrases. Takes a lot bit of the guesswork out of playing the game and forces the player into easy mode, but it’s a pretty slick interface. The graphics are very impressive, but that’s to be expected; this port came out five years after its original release on a system known for its graphics. The sound didn’t pace as well as the graphics – it’s pretty rough to listen to. 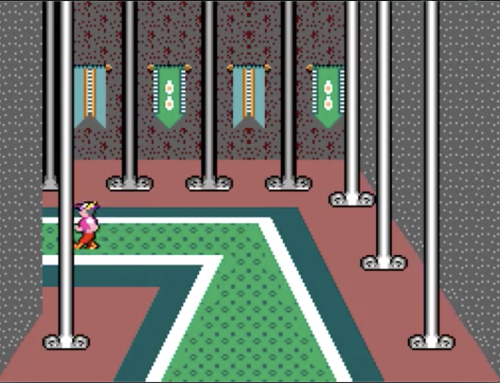 The animations are good with a few weird exceptions; there are points where King Graham doesn’t properly interact with the environment, and when he walks vertically it looks like he is power-walking in a pantsuit. 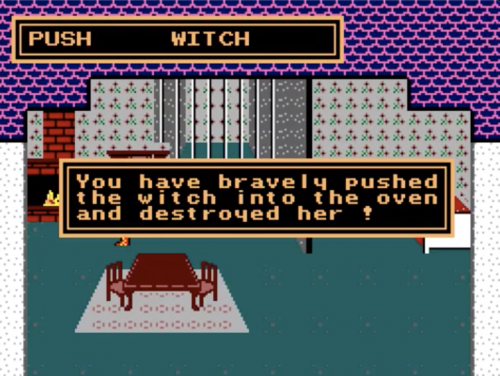 With the exception of the text-based entry, the rest of the gameplay’s mostly intact. 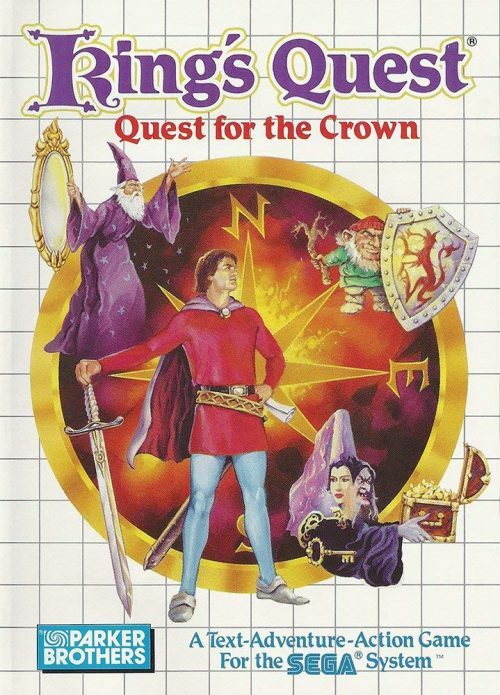 Your quest to retrieve three magical items is non-linear and can be approached in any order and the majority of the map is on par with the PC offering although many individual screen layouts were modified. On the whole this is a pretty impressive effort: the port could have gotten away with being much less of a playable title than it was. While it’s still inferior to just about every other version out there, you can see the desire to make this title not just playable on the Sega Master System but actually good.